Do you like to give back to the community? Are you a small business or nonprofit organization that is involved in community service? Then check out GrantWatch.com under “Community Service Coordination” and find grants that benefit health, human services, education, the arts, and social service issues. How do Human Services Help? According to the National Organization for Human Services, the field is broad. It works to meet human needs through interdisciplinary tactics. It focuses on prevention and remediation of issues, and maintains a commitment to improve the overall quality of life. According to another source, human services are designed to help people wade themselves through a crisis or chronic situation. A person may feel they are in need of external help and guidance to move forward. With the help of human services, he or she can rediscover their personal power and self-sufficiency. Your organization could have a religious reason for serving. Or, maybe you just want to better your community. If you work for a human services organization, GrantWatch.com has suitable grants to which you can apply. In fact, different communities across America can apply for these grants. There are grant application deadlines approaching. 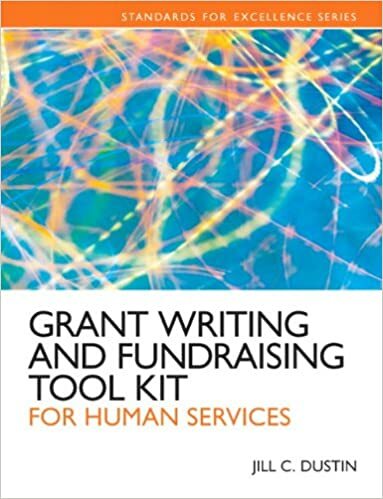 If you need help to learn how to search for, apply to, and manage grants, check out this book written specifically for human services professionals: Grant Writing and Fundraising Tool Kit for Human Services by Jill C. Dustin. In it, you will learn how to create and apply fundraising campaigns; create, manage and conclude a funded project; apply ethical standards to fundraising activities, and more! Another method of fundraising for your human services project is crowdfunding. At Uhelpfund, you can create a fundraising campaign for free! Simply sign up, create a stripe account and enter all the information. Then, choose up to six of the 100 categories with which to associate your campaign. Associating your campaign with more categories makes it easier to find. Use pictures and videos to depict your cause and provide perks. A well presented campaign can be all the difference between a successful and unsuccessful human services crowdfunding project. And, if you’re a minority or woman-owned business lookin to provide social services, check out the grants or government contracts available to you at MWBEzone. Remember, in order to read the entire grant, you must subscribe to a pricing plan at GrantWatch.com. When you apply for grants, you will be connected to reputable funding sources that use GrantWatch.com and MWBEzone.